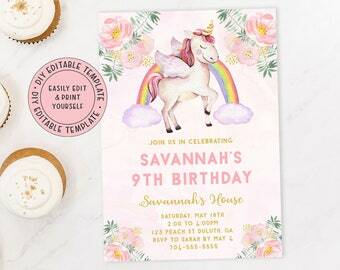 By purchasing this item, you agree that you’ve read the listing description and understand that this is a printable self-edit template that you personalize yourself. Type AGREE below to purchase. You’ve reached the limit! Use 5 characters or less. DEMO PREVIEW: Try before you buy! After purchasing this listing, you'll automatically receive an email from Corjl with your access link so you can edit your template. 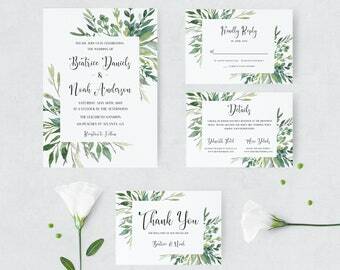 This email will only be sent to the email address associated with your Etsy account. ♥ Open your Corjl access link on your desktop or laptop computer's web browser. Your template will be preloaded into the corjl editor. ♥ Click on the editable fields to insert your personalized information. ♥ Save your design as a PDF, JPG or PNG. ♥ Print at home or at your favorite print shop. ♥ Only the text is editable. ♥ Only edit while on a computer and not on a phone or tablet. ♥ Due to the digital nature of this item, refunds aren't possible. ♥ No custom orders are available at this time. ♥ This is a DIY self-edit template that you edit and print yourself. ♥ Final file sizes are available in 5x7" and 5.25x7.25" and can be downloaded as a PDF, JPEG and PNG. Please ensure that the printing service you're planning to use has file requirements that are compatible with these specifications. 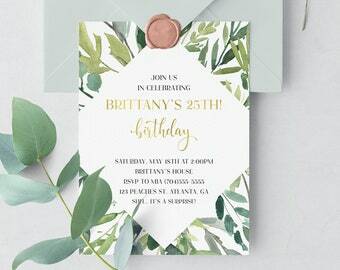 Some printing services, such as VistaPrint, may have slighter smaller file size requirements and portions of your invitation may be cut off once uploaded. File size adjustments and refunds will not be made once your order is placed, so please double check that your chosen printing service is compatible with either of these file sizes before ordering. For personal use only. May not be sold or used commercially in any way. 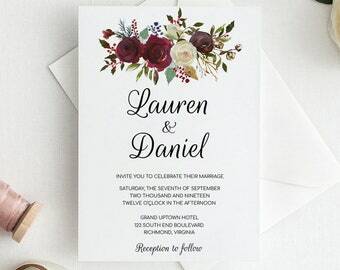 This editable invitation was perfect and turned out so cute!! Easy to use. Is this Something That I Edit & Print Myself? 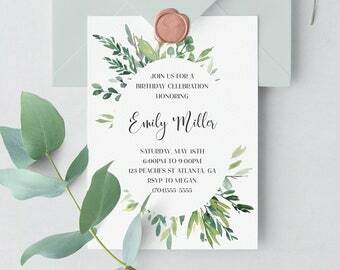 If you’re purchasing an editable template, it is a self-edit template where you input your own custom information before downloading and printing. 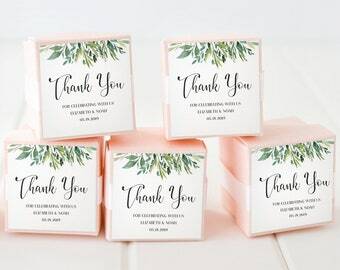 Because my shop includes both editable and non-editable items, please be sure to read the description of the individual listing for clarification before purchasing as not all items are editable. Can You Edit the Template for Me? I don’t currently offer editing services. All template purchases are self-edit templates where you personalize the template with your information yourself. Editing the templates is easy! Please see the demo link provided in the listing description so you can preview your editing experience. 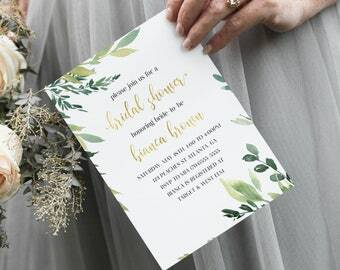 How Do I Edit My Template? If you purchased an editable template, you’ll receive an email from Corjl with the access link to your editable template once your order has been placed and payment has cleared. 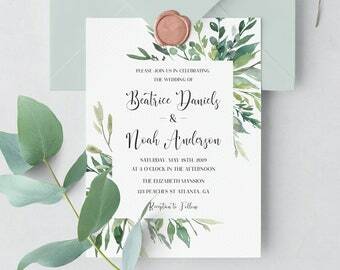 You’ll be able to edit your invitation in your web browser and no font or software downloads are required! 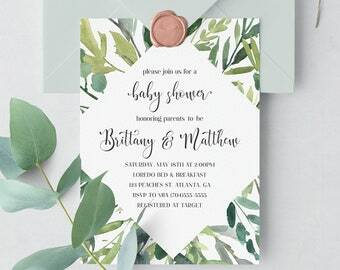 Where Do I Print My Template? 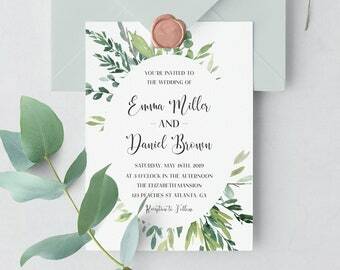 You can print your invitations from home using your home printer, use a local print shop, an online printing service or local photo printers like CVS and Walgreens. Can I Preview The Template with my Information? Yes! 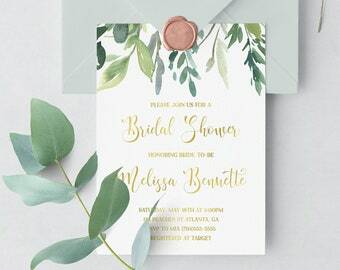 All editable templates include a demo link that you can customize with your information to preview what your invitation will look like. Please see the top of the listing description for the demo URL/Link. Keep in mind that the edits made on the demo will not be saved as it's simply a preview. Any costs incurred due to misspellings, typos or grammar on templates and downloads are the sole responsibility of the customer. 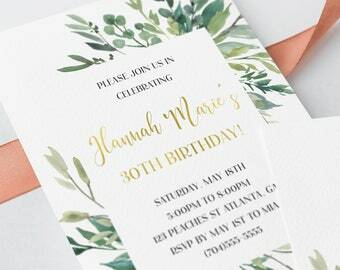 Please proof your items, even the text that came with the template, before printing. Any costs incurred due to misspellings, typos or grammar on templates and downloads are the sole responsibility of the customer. 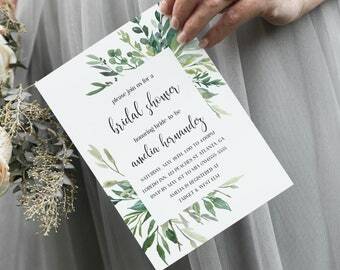 Please carefully proof your items, even text that you have not edited on the template, before printing. What Format Will My Final Files Be In? If your item is a Corjl item (editable template), your final files will be available for download as a PDF, JPEG and PNG. Trim marks and bleed are optional and can be easily added to your final files with one click before downloading. Because my shop includes both editable and non-editable items, please be sure to read the description of the individual listing for clarification. Can I Edit, Download and Print From My Phone or Tablet? I do not recommend editing/downloading/printing from a phone or tablet. Please use a computer to edit, download and print your file. Most print issues that I’ve seen customers encounter are due to the files being downloaded and printed from a mobile device. I do not offer printing services at this time. 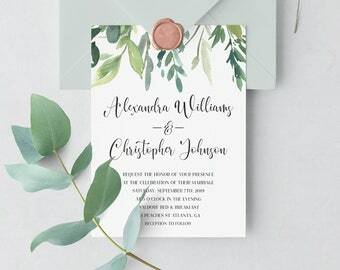 Can I Use Vistaprint for my Invitations? 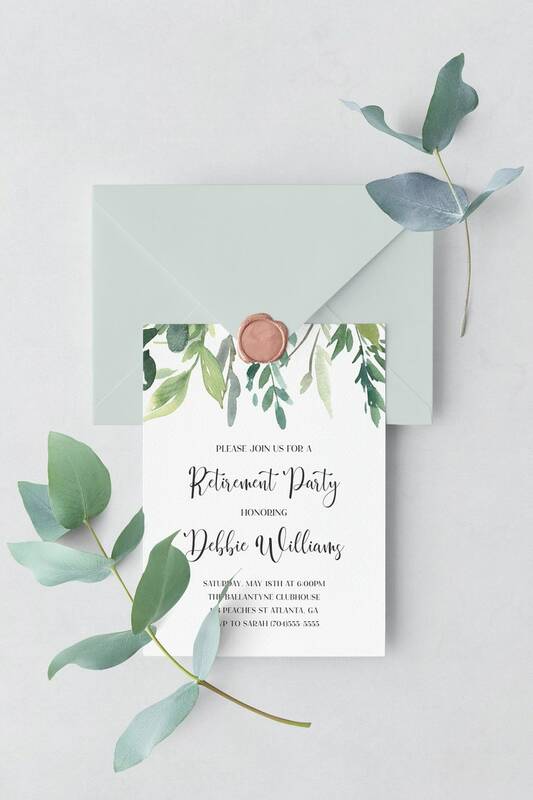 I do not recommend printing with Vistaprint as Paper & Wit invitations are 5x7” in size and Vistaprint’s file dimensions are smaller. 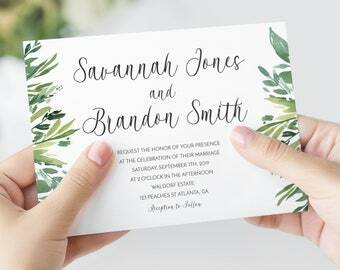 This will lead to your invitation files being cut off and the invitation will not be printed in its entirety.